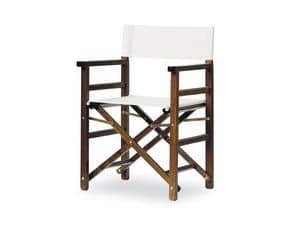 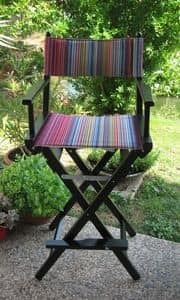 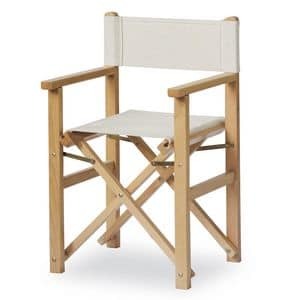 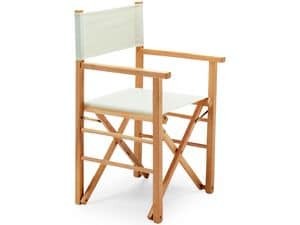 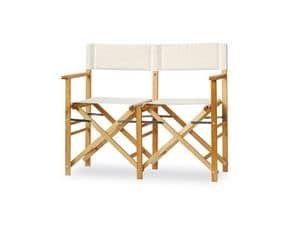 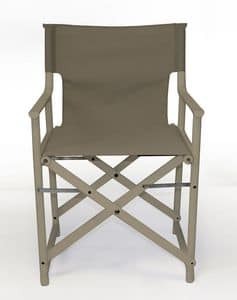 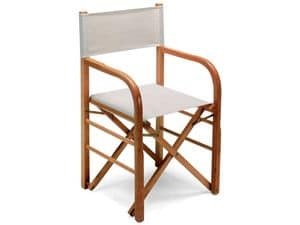 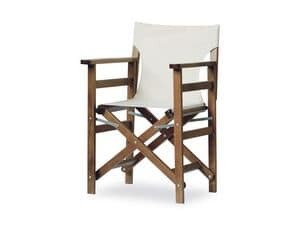 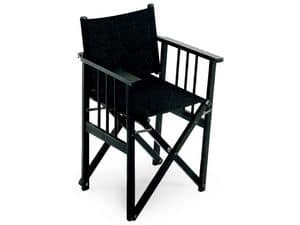 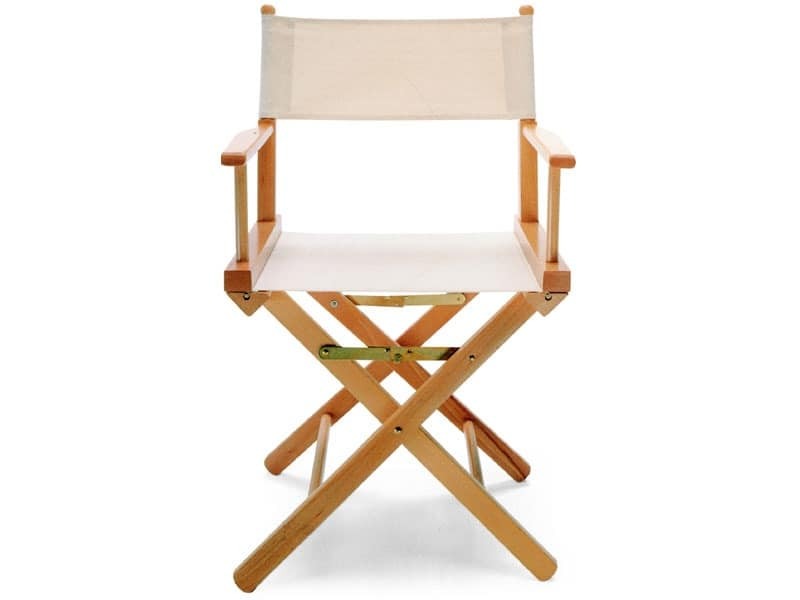 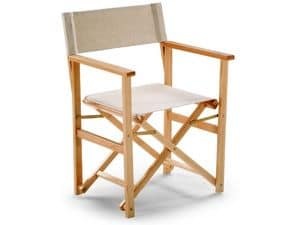 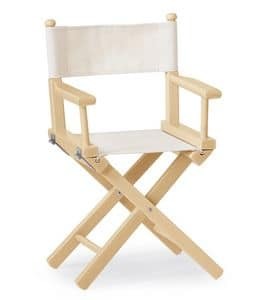 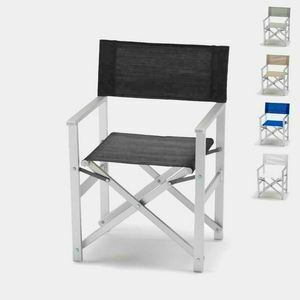 Director's small folding chair. 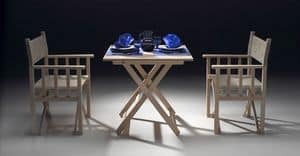 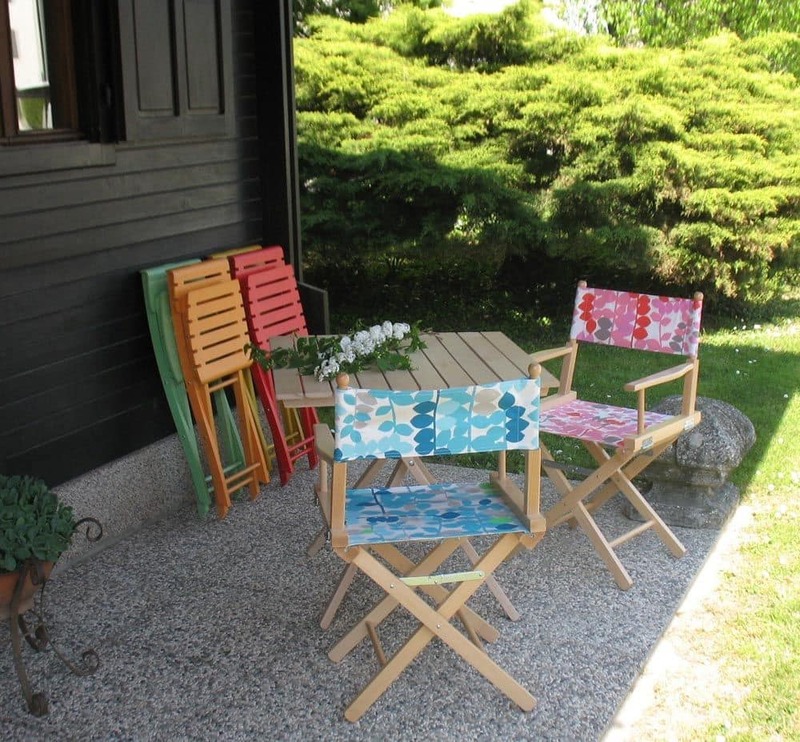 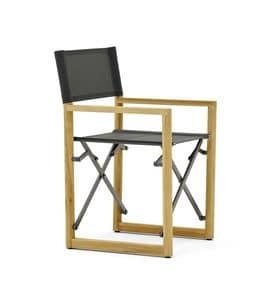 Frame made from beech, with seat and back made from fabric or plastic coated material. 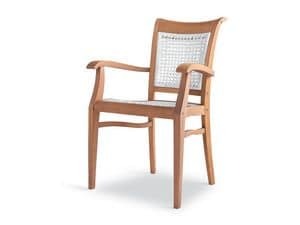 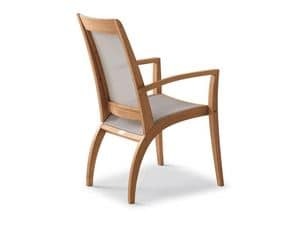 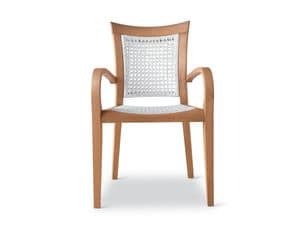 On request cover-chair in coton fabric. 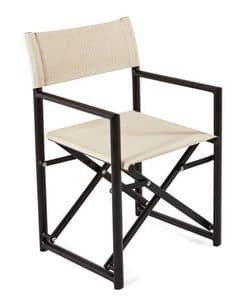 This product is an excellent solution both inside or out on the balcony or patio. 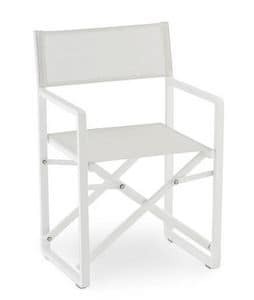 A great idea for furnishing poolside bars, or informal restaurants.